The elegant Poise Basin Mixer with Clicker Waste utilises the latest and highest quality ceramic valve technology. 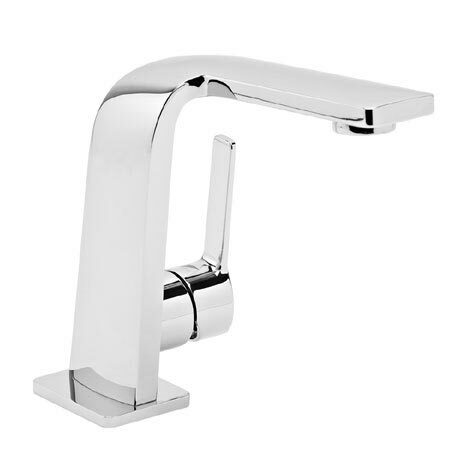 A great show piece for any bathroom the tap features a side action lever and swivel aerator that allows the position of the running water to be moved. Suitable for water pressure systems of 1.0 bar and above and comes with a 10 year guarantee. An aerating restrictor will give a "champagne effect" to the flow of water.